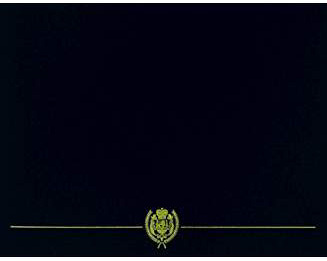 Please complete and MAIL the APPLICATION FORM (click below). 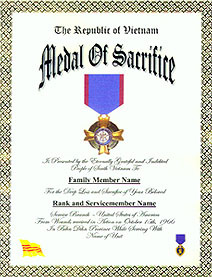 The U.S. Medal of Sacrifice, Vietnam, is awarded to kin (any family member or friend) of a military or civilian person who lost their life in the line of duty while serving within the borders or seas of the Republic of (South) Vietnam, or acting in a capacity in the defense of the Republic of Vietnam while serving in the Indochina Theater. NOTE: Not all deaths in Vietnam constitute "line of duty".